One Hour Tees proudly prints your custom t-shirt design on only the highest-quality tees in the industry. We offer thousands of options including various colors, styles, fits, fabrics, etc. Expect your art—from names and logos to photos and more—to arrive perfectly printed on top apparel brand names. If we don’t believe in the quality, we won’t sell them to our valued customers. Whatever your t-shirt vision is, count on the One Hour Tees team to make it a reality. Whether you know exactly what you want, or you’d rather work alongside our custom design experts to make your shirt come to life, we are committed to providing our customers with an incredible experience from start to finish. Though all of our t-shirts brands are top quality, some are higher than others. For many customers, a simple, well-made tee is ideal for their needs. If you’re willing to splurge however, print your custom t-shirt design on the most exceptional, comfortable shirts in unique styles available to match your exact vision. HOW DO WE PRINT OUR TEES? At One Hour Tees, we have the perfect printing techniques for whatever your custom t-shirt printing needs may be. Some of our brands, fabrics and shirt styles may work better with some printing options rather than others. Your vision may also work best using different types of printing. Trust our team to help you choose the right one for you. In addition, some of our methods allow for quicker turnaround times or different minimum order levels. We’ll work with you to ensure we pick the right t-shirt and printing method for your exact needs. Looking for a great shirt lightening fast? Direct to Garment or DTG printing in the quickest way to turn your t-shirt idea into a reality. Give us an hour and your new tee will be hot off the press. with no peeling or cracking. There is also no minimum order. Only need one shirt? No problem. For the ultimate in bright, bold colors with incredible quality that can last a lifetime, screen printing is a great t-shirt printing option for tees. Using different silk screens for each color, artists apply a thick layer of ink on each shirt to permanently create your design. Because screen printing is a more labor-intensive process, we will need at least one day to complete your order. The minimum order is 25 garments. If you’re looking for that extra professional touch, contact us about our embroidery work. Most popular on polo shirts but also available on a wide variety of apparel, your name, logo or design will be impeccably sewn onto your apparel using our brightly-colored threads. This minimum order is 25 garments. A heat transfer is the ideal method for printing customized names and numbers on mesh and poly-based jerseys and similar apparel. The minimum order is 25 garments. "Emily helped me fix my logo right there in the store. The service was excellent. Prices were awesome. I’m SUPER PLEASED with the quality of my shirts and sweatshirts!!! "Fast and professional service. Both kids and parents love the quality of the t-shirts. More often than not, t-shirts are ready before selected pick up date. We are regular clients and will be ordering more!!" 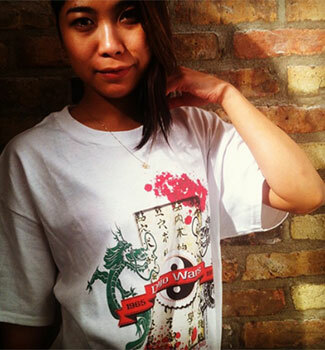 "Even though I don’t live in Chicago, I always order from One Hour Tees. They’re fast, reliable & cost-effective and I just enjoy interacting with them. I always get a great product, so I’m a happy customer!" One Hour Tees offers so much more than just designing and custom printing shirts. We have a warehouse of apparel options including hats, sweatpants, leggings, backpacks, and more. 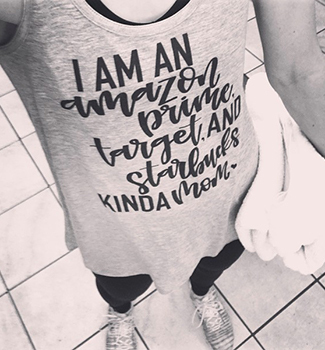 If you can wear it, we can print on it. Stop by our Chicago location today or give us a call at 773-687-0520 to learn more about making your own customized garment. We also serve the New York, Los Angeles, Houston, Philadelphia, Austin, San Francisco, Seattle, St Louis, Miami, Milwaukee, Dallas, Boston, and Atlanta areas.